Born into the world of cars thanks to his father, JF Bessette has always loved being around a car. He has been nurtured within this world and been taught the mechanics of it as well. 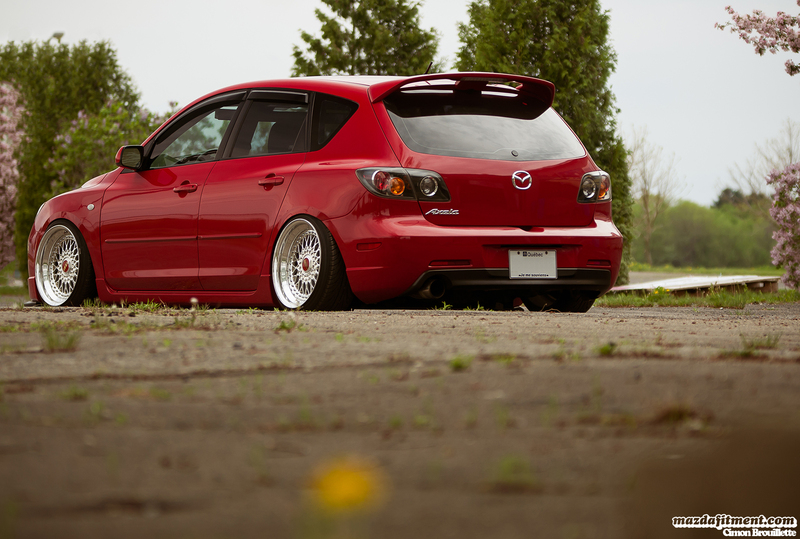 Eventually this has lead him to owning the HardSparkers 2005 Velocity Red Mazda 3 hatchback from Quebec, Canada. 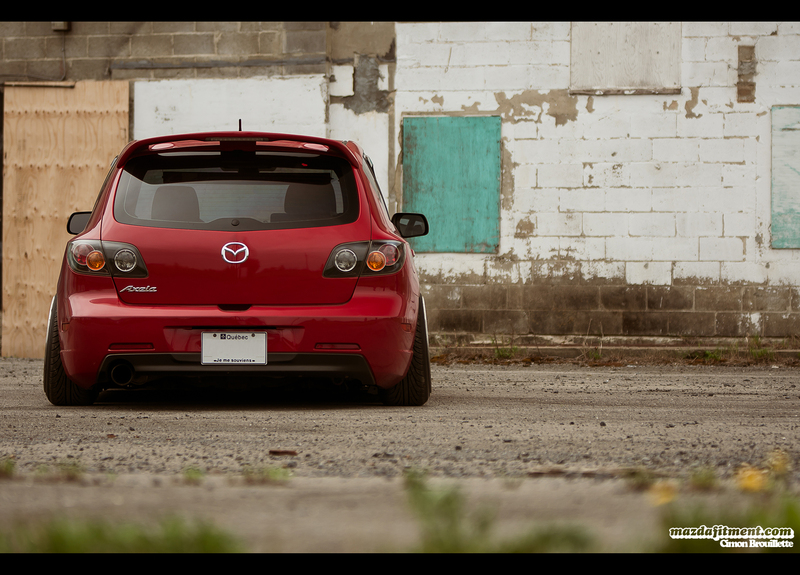 JF has always loved the Mazda 3 every since they came into production in 2004. When he finally got his in 2008, he knew it was meant to be. JF has been through a few different looks with Koing, Rota, and now BBS. 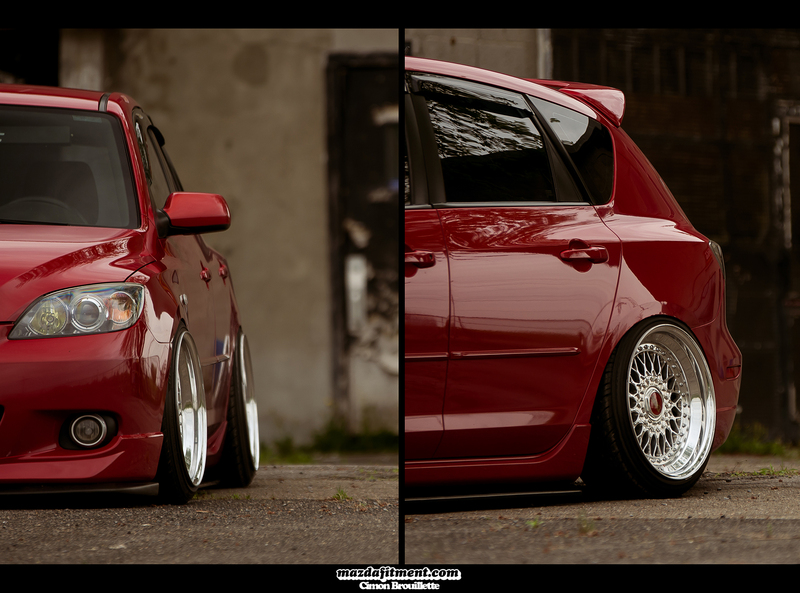 These BBS RS 17×9 +12 all around (2.5″ lip) look at home. 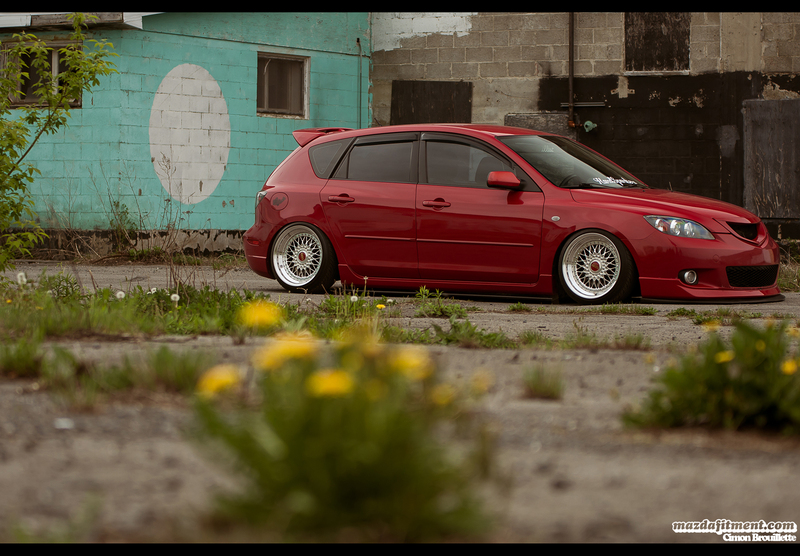 JF lives for the moments he gets to drive his car around town or just to the summer car shows. 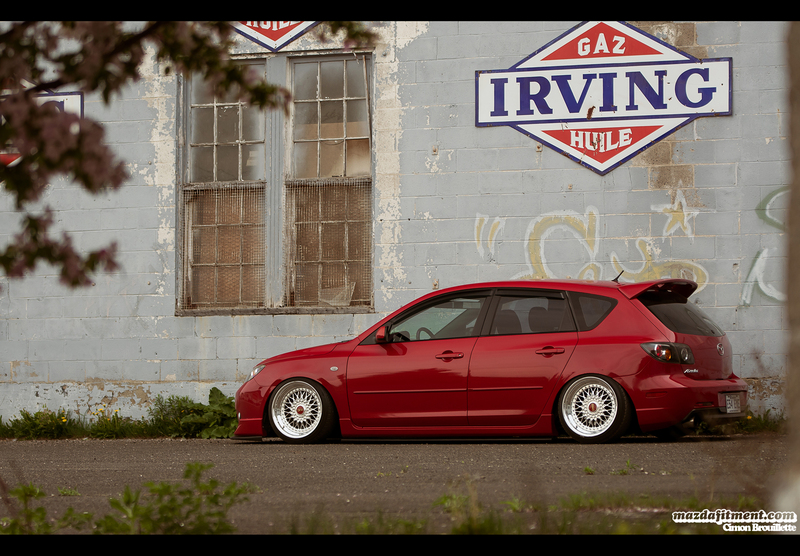 Thanks for JF Bessette for sharing his ride with us and for Cimon Brouillette for capturing the shots for us. Check out more of Cimon’s work at Cimon B Photography. Enjoy the rest of the pictures in the gallery below.